This is very simple demonstration of how conduction and convection heat energy works. 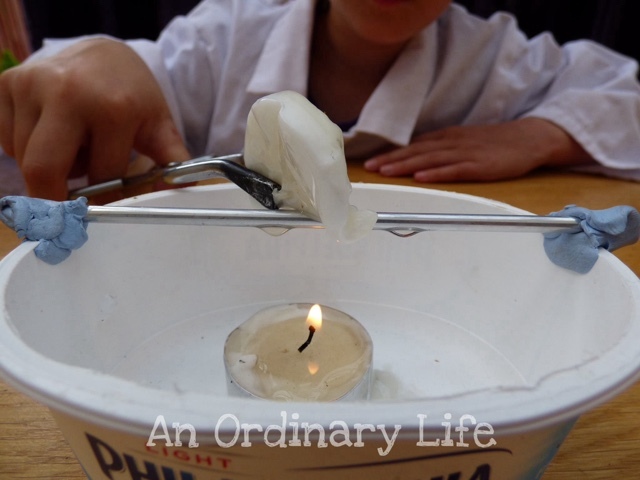 It involves fire which usually fascinates children. Set the experiment up. Put a candle in the empty cream cheese pot. Stick the sticky tack one piece at one end of the cream cheese container, and one at the other. Place the candle in the centre and light it. At this stage you will place the metal rod on top of the cream cheese pot, with the sticky tack holding it in place. BUT before you do ask the children what will happen to the rod when it sits above the candle. Remind them that the flame itself will not touch the rod. At this stage you can talk about convection. Convection is the transfer of heat energy through air or liquid particles. 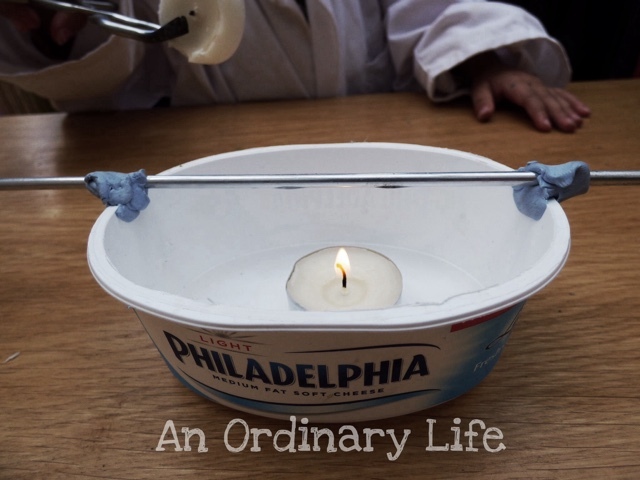 The candle heats the air the air travels up to the rod and heats the rod. 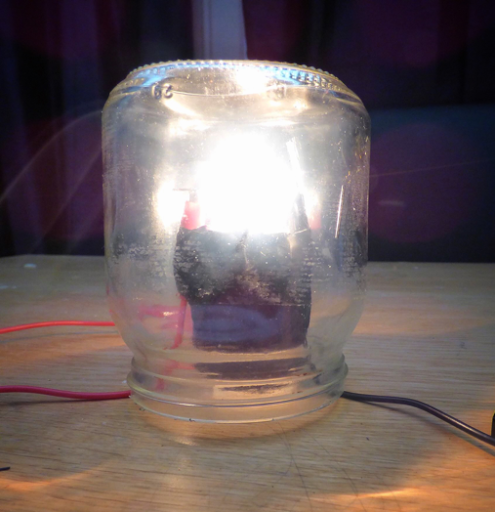 Now, with a pair of tongs hold a second candle, I used a tealight and took it out of its metal container. Hypothesise what will happen when the candle touches the rod. Using the tongs, make the second candle touch the rod. Now we can talk about conduction. Conduction Heat Energy is the transfer of heat energy when there is physical contact. The Candle is physically touching the rod so the heat is transferred through conduction, resulting in the candle melting.